We are heading to Huaraz, but decided to make a quick stop in Huanchaco to break up the nearly 18 hour bus ride from Mancora. We’ve been in this beach town before, so we went back to MacCallum hostel for one night. We shared a cab with this British couple, and our cabbie nearly ran out of gas half way there. I was sure we were going to have to get down and push! We settled into our room pretty quickly and took a quick nap to recover from the long ride from the night before. I went down to the common area and started talking to another English guy about my travels. He’s in Huanchaco volunteering at a nearby town, and asked if I wanted to come. 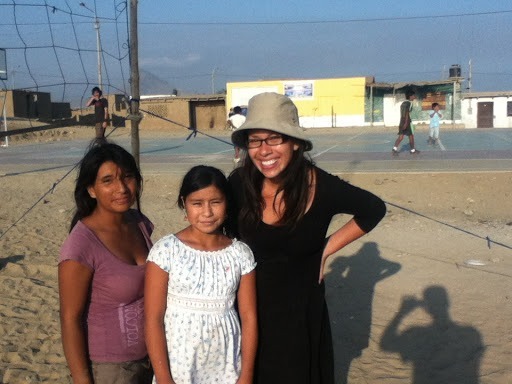 I jumped at the opportunity, and a group of six of us made our way to Cerrito de la Virgen. 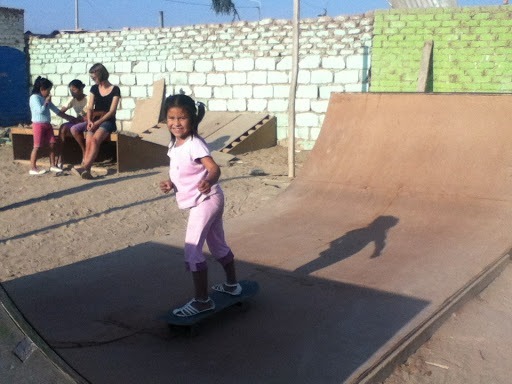 The volunteers with “Otra Cosa Network” built a skate ramp for the local kids in that town, they help with homework and play soccer or volleyball with the kids. 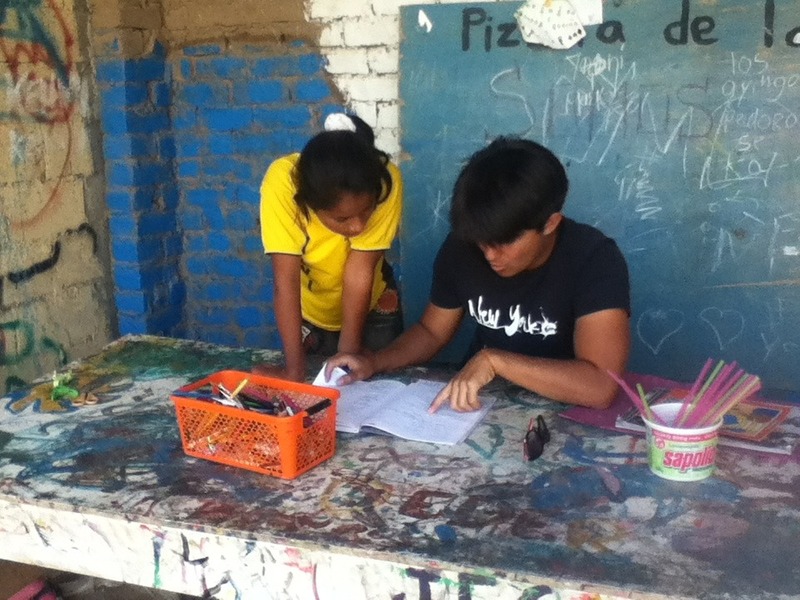 It was such a great experience, the kids are so sweet and I had a lot of fun helping them learn English.